There’s nothing better than a seafood cookout with friends and family. Well, that is until you read the latest research on a class of synthetic flame retardants, known as polybrominated diphenyl ethers (PBDEs). Once a popular additive in consumer products, ranging from plastics to textiles, these contaminants are now in our food supply. Threatening our health and the planet, researchers are now suggesting that you not only pay attention to the origin of your food’s food. It’s time to better connect with the food we’re eating — here’s why. I am extremely passionate about marine ecosystems and follow the seafood industry closely. However, most people are completely unaware of what’s going on out there. You know, the whole “out of mind, out of sight” thing. Fish has long been a basic resource to sustain life, and today, around one billion people are dependent on fish as their main source of animal protein. However, we have not taken proper precautions over the years and now, the research is discovering the aftermath. One recent study, published in the journal Environmental Science & Technology, found that POPs may contaminate farm-raised Atlantic salmon, depending on the origin of their food. As stated above, the researchers tracked the presence of PBDEs — a class of synthetic flame retardants. 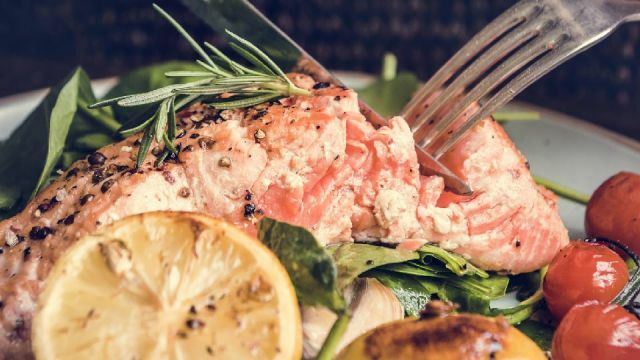 You might be eating man-made ingredients if you eat seafood. Although these additives were banned in the United States and most of Europe in 2004, we are still dealing with the effects. Acting as endocrine disruptors, these pollutants can cause significant health and developmental effects, especially in terms of neurodevelopment. Due to the nature of these contaminants, an international environmental treaty was established in 2009. The use of organic pollutants, including PBDEs was restricted, yet they continue to be released into the environment. Concentrations are particularly dense around areas such as Thailand, Vietnam and China. We often hear about the importance of locally-sourced food. Based on our current global food trade system, it is more important than ever before to understand where your food comes from — and in this case, where your food’s food comes from. Fish farming operations often import their feed from various countries, including those who do not adhere to more advanced food safety regulations. Although this feed has little impact on fish who are already living in a highly polluted area, it does significantly impact fish raised in a clean, well-regulated environment. Unfortunately, it’s not just salmon you need to be mindful of. The researchers said that this model can also be applied to other fish that are involved in global trading, including red snapper and tilapia. It may also be used to better predict contaminated “hot spots” in relation to livestock. What else is hanging out in our seafood? I’m sad to say that flame retardants are not the only nasty chemical found in our seafood supply. In addition to PBDEs, please be mindful of the following when making your next seafood purchase. Be sure to source your seafood responsibly. I recently wrote an article regarding mussels and oxycodone. You can read all about that here. It’s no secret that we’re facing an opioid crisis in North America and unfortunately, these drugs are quickly making their way into aquatic systems via wastewater. From birth control to antidepressants, antibiotics to chemotherapy drugs, the combination of these drugs is worrisome. When exposed to chemicals, fish populations become extremely vulnerable. This is because the introduction of pesticides and other toxic chemicals impact the liver, brain and gills of many species. Of these, DDTs and dieldrin are of particular concern, as these long-banned pesticides continue to impact fish. We all understand the food chain — big fish eat little fish and in the process, PCBs become more concentrated in their flesh. We then eat these fish, increasing our exposure. Once used in oils and hydraulic fluids, these toxins were banned in the U.S. in 1979. Known to increase cancer risk and cause infertility, PCBs are more concentrated in farmed fish than in their wild counterparts. Can I still eat seafood? 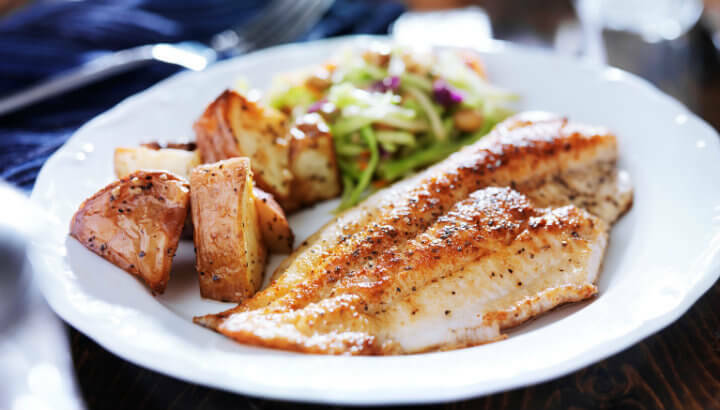 When aiming to reduce your exposure to chemicals, especially PCBs, it is recommended that you remove the skin, fat, and belly of the fish you eat. This is because many contaminants accumulate in fat. 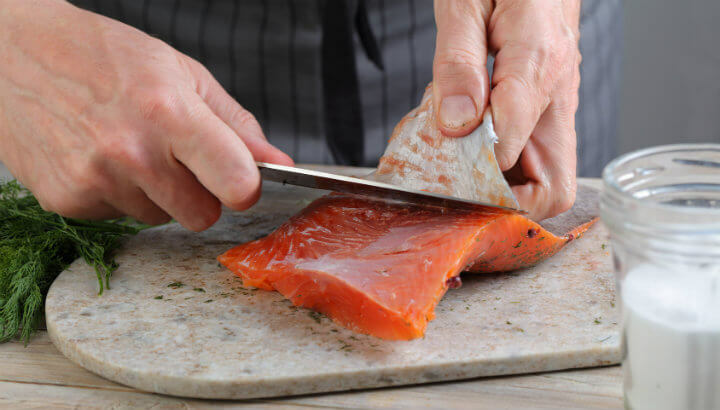 Remove the skin from fish to protect your health. Please note: This will NOT reduce your exposure to mercury, so be mindful of seafood that is high in mercury. Also, be sure to eat a variety of fish based on seafood health alerts. 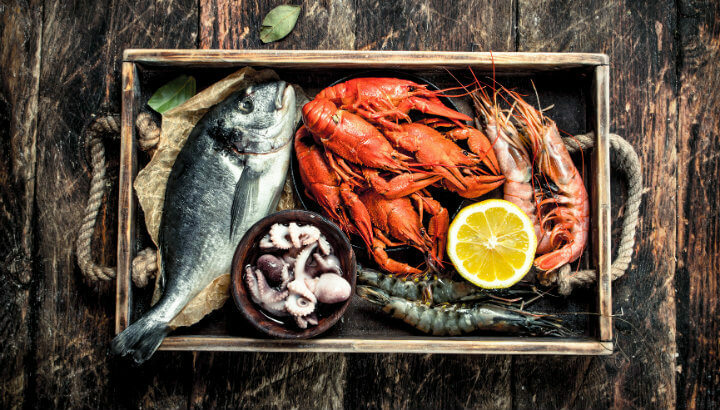 As stated by the Environmental Defense Fund, some of your best options are Atlantic pollock, wild chinook salmon, Dover sole, blue crab, U.S. spot prawns and more. Some of the worst options include bluefin tuna, imported grouper, king mackerel and swordfish. It is time that we begin to think on a global scale in terms of our actions. After all, they say by 2050, there will be more plastic in the ocean than fish. Please share this and spread the word. Knowledge is power — and as more and more people strive for positive change, the better off our planet and health will be. Previous articleMoringa: Latest Health Superfood Or Just A Fad? Hey Buddy!, I found this information for you: "Flame Retardants Plus 3 Other Man-Made Ingredients In Your Seafood". Here is the website link: https://www.thealternativedaily.com/flame-retardants-plus-3-other-man-made-ingredients-in-your-seafood/. Thank you.